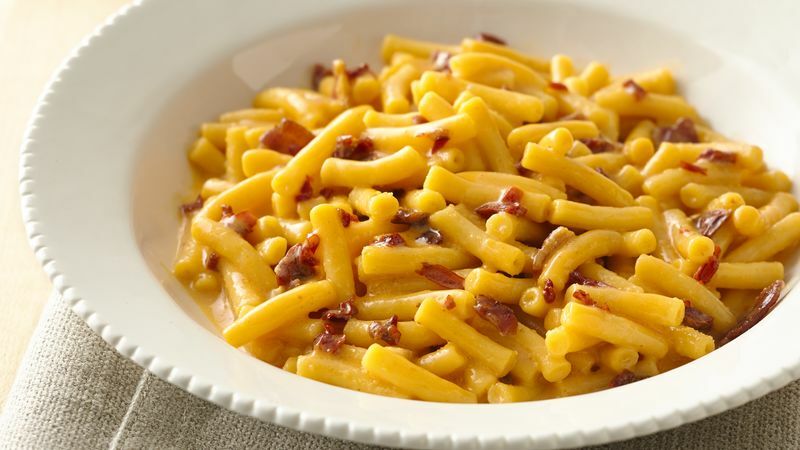 Make mac & cheese as directed on box. Stir in bacon, chile and adobo sauce. Cook about 1 minute or until hot. Extra chiles? Freeze any remaining chipotle chiles with the adobo sauce in small serving-sized containers in the freezer for up to three months. Add more or less chipotle sauce or chiles to make as hot or mild as you like. You can also remove seeds from chipotle chile to make more mild.